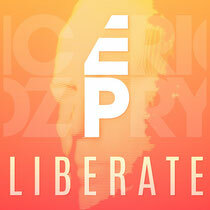 After enjoying club success and peaking at #4 on the Beatport charts in March, DJ/producer Eric Prydz is to release brand new single ‘Liberate’ on 27 July via Virgin EMI. Now based in Los Angeles, Prydz closed out 2013 with his ‘Epic 2.0‘ tour, taking in dates across New York, Chicago and LA, as well as the news that his Essential Mix for BBC Radio 1 was voted ‘Essential Mix Of The Year’ by the station’s listeners. Carrying that momentum firmly into 2014, Prydz’ latest single ‘Liberate’ exudes the lush, melody-rich production style he’s become known for. Premiered by Zane Lowe as his ‘Hottest Record In The World’ on BBC Radio 1 and already on the playlist radars of fellow tastemakers Pete Tong and Annie Mac, ‘Liberate’ is possibly looking every bit one of 2014’s big, dance floor anthems. Awash with delicate notes and full-bodied, glistening synths, Prydz works his brand of classic, dance floor groove to the max amidst a series of euphoric crescendos, all underpinned by a soaring, strung-out vocal. Also set for an exclusive official video in the coming weeks, it may well pack all the ammunition required to make a serious impression on the charts. With a new album scheduled for release later in the year, as well as a landmark ‘EPIC 3.0’ live show at New York’s Madison Square Garden on 27 September and summer performances at both Creamfields and SW4, expect ‘Liberate’ to play a significant part in what’s shaping up to be another extraordinary year for Eric Prydz.